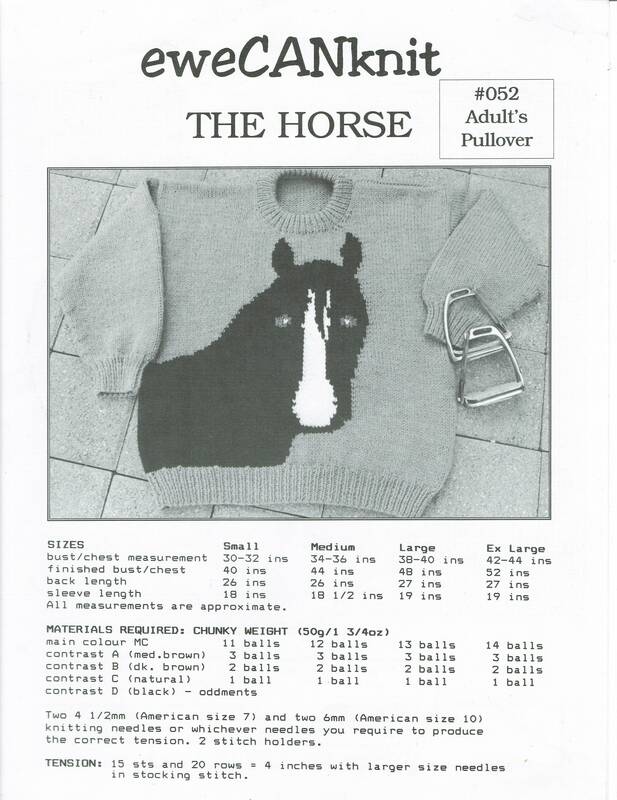 HORSE #146: eweCanknit pattern. Design on front & back. Adult sizes S[30-32 in] M[34-36in.] L[38-40 in] XLg [42-44 in.]. Uses bulky/chunky weight . Gauge 3 1/2 sts per inch.